Angie is the Boss Lady at Evember. 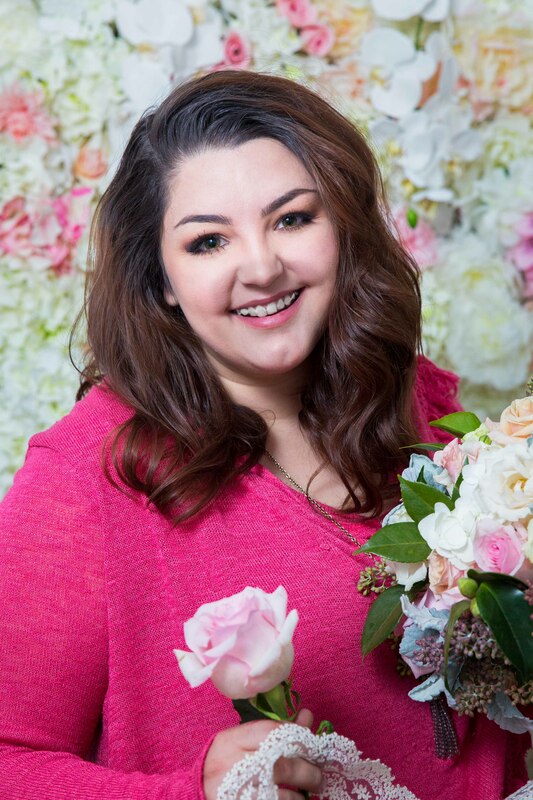 She is the lead floral designer and the main point of contact for all our amazing clients. She is a bit of a perfectionist and very detailed driven. She has a passion for all things floral and still feels like every wedding she designs is as special as her first. 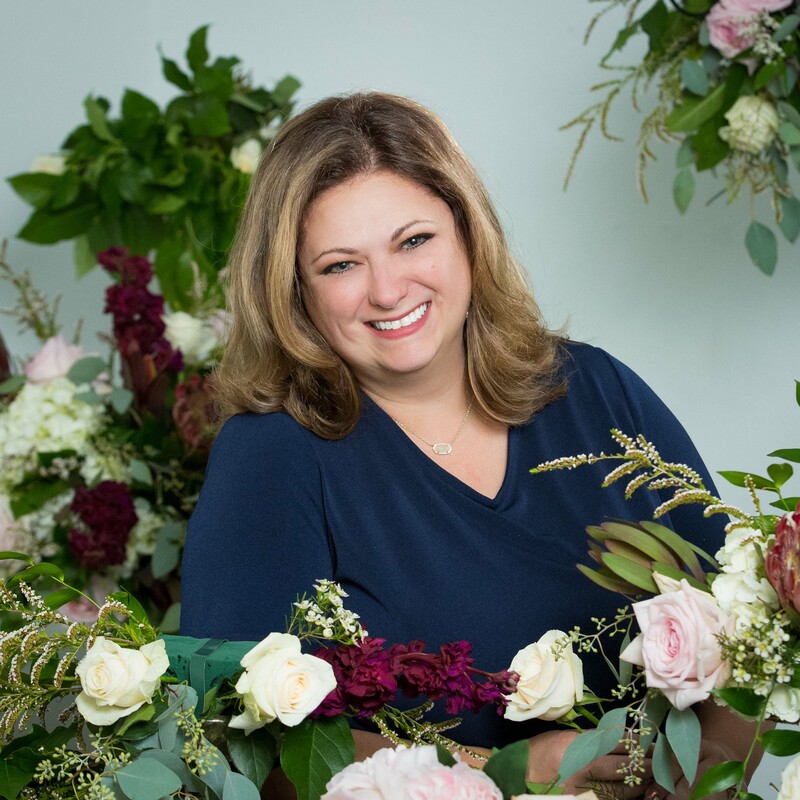 Not only is she a floral designer with over ten years of experience but she also holds a degree in Special Event Management which allows her to understand all the ins and outs of weddings and events. Angie is a Mama Bear of two beautiful and talented daughters and two four-legged fur babies. She is married to our own General Manager and loves having her best friend by her side at work and at home. She is obsessed with designing weddings and events and even in her down time can be found sketching ideas and new designs. She loves a good bottle of wine, the color blue, Chick- fil- A sweet tea, the beach and happy clients! Brad is the General Manager at Evember. 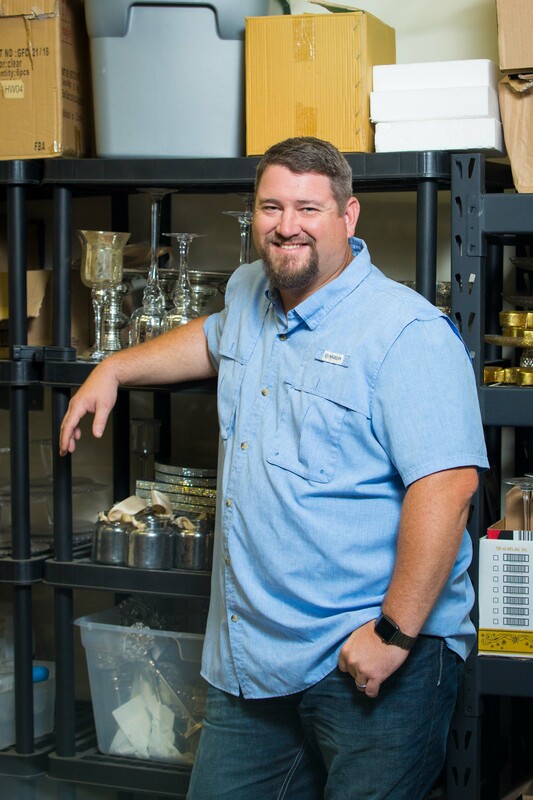 He oversees the business side of Evember and makes sure that our warehouse and inventory are taken care of. He loves being a dad to his girls and loves his wife, even when she drives him crazy ordering new inventory items and causing him to reorganize the warehouse way too often. With a background in sales and management, he uses his knowledge and skills to manage the day to day operations at Evember. When he is not behind his desk, you will find him out at events installing tall arrangements, hanging décor and pretty much jumping in to help where ever he is needed to make sure our events flow well. Brad is a huge sports fan and loves the Houston Astros and Dallas Cowboys. If there is a game on, you can bet he is either watching it, listening to it or he is recording it to watch later. He has a fun sense of humor and thinks Evember’ s tag line should be “Let’s flower this &*^% up!”. Angie vetoed it but it did make it onto a sign hanging in the waaaaay back of the office! Megan is our studio manager. She is a great floral designer, and makes sure our production area and staff schedules run smooth. She leads setup crews on event days, is detail oriented and has an eye for making sure no detail is left out. She is also a social media wiz and is responsible for most of our post you see on social media. When she is not at work, she is at home with her husband, adorable baby boy and hyper four-legged fur baby. She loves makeup and Dr. Pepper but maybe not in that order, and she sings while she works and that is ok with us because she has a beautiful voice. The rest of our team is amazing and if we listed them all individually the page would be too long. We can tell you they are all passionate about making sure each arrangement that leaves our studios is made with love and care. They are a fun bunch and laughter, singing and storytelling fills the studio when they are in work mode. No matter how late they work or how hard the job is, they all join together to make sure each event it given the detail it deserves. We are very blessed with the best team around!